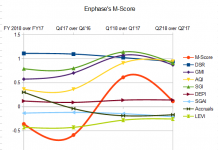 Which vendors at Intersolar 2016 in San Francisco supply the best behind the meter self generation microgrid solutions? I’ve asked similar questions about utility owned inverters, storage, and microgrids at previous Intersolars. This year I looked into the microgrid highest value propositions for photovoltaics (PV). What is a microgrid, and why they are coming of age now? A microgrid is a distinct electric system consisting of distributed energy resources which can include demand management, storage and generation. Loads are capable of operating in parallel with, or independently from, the main power grid. For this evaluation a microgrid is defined as an isolated circuit that can have a utility feed for battery charging only which provides a high value for a commercial or industrial electricity consuming facility. In this case a facility can receive energy, demand and power factor values from a self generating microgrid and use the utility to charge batteries in times when self generation may not be available. Self generation can come from many generating technologies including fossil fuels, biomass digesters, anaerobic digesters (like at breweries), wind and solar PV. Low cost solar and storage are driving new opportunities for these microgrids. Microgrids are not new for the solar industry, which has been doing off grid and island systems since before grid interactive inverters were available in the 1990’s. If structured properly microgrids can provide clean, low cost, uninterruptible, reliable and resilient electricity. Consider a server farm that needs to expand its capabilities with a new room of servers. The facility could pay the local utility to increase its electrical service capacity, and then pay a lifetime of additional $/kWh energy and $/kW demand fees. Or the facility could install a solar electric system with batteries and if it has natural gas, the facility can generate combined heat and power (CHP). The heat is used to air condition the servers with absorption chillers. Multi-port microgrid solutions are now being offered by multiple vendors for these purposes. As a facilities decision maker, pick a CHP that can supply your air conditioning requirements with absorption chillers. Add a PV system that supplies the electricity for your process for most of the year. My favorite flavor PV system would be integrated with a parking structure. Also pick an electrical storage system that can safely provide the power needed for times when the sun isn’t shining and for when your CHP unit will not be in an economical operating zone. The microgrid will supply clean power and adjust for various loads turning on and off. They can even turn loads on and off for you in a scheduled energy/demand management function. Day and hour ahead weather forecasting can be integrated. A battery charging circuit tied into the local utility can put more DC electricity into the microgrid at the most economical times. In fact a microgrid can be all DC energy reducing conversion to AC losses. And of course any original utility circuitry feeds can remain as a backup to a new microgrid circuit. Energy economic evaluation is straightforward in today’s PV market, coming in at an onsite cost of $0.06 to 0.10 per kWh for larger experienced installer systems (my own utility has a $0.056/kWh PPA system). This would be compared to the utility bill $/kWh which vary widely but are typically above $0.06/kWh for commercial and industrial accounts. April 2016 EIA average estimates are $0.101/kWh for commercial and $0.064/kWh for industrial across the USA. 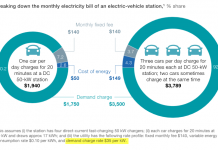 Demand charges ($/kW) can be reliably eliminated from utility bills with a microgrid. CHP systems typically achieve total system efficiencies of 60 to 80 percent. Expensive power factor charges ($/kVAR) can be reduced from utility bills by addressing the facility equipment that is is causing power factor problems, and isolating that/those circuits with a microgrid solution. Whole facility can address these expenses with power factor correcting capable inverters, often a standard function on newer inverters. Power factor is a correction billed by the utilities for power delivered by alternating current. It varies when certain equipment causes the apparent power to differ from the true power, this difference is a measure of kVAR. Power factor can be analogized with a mug of beer. The actual beer fluid represents the power in kW, and the foam represents the wasteful kVAR, the kVA being the actual amount of work the utility needs to provide in the form of the total volume. Reducing power factor is like reducing the foam in the mug of beer. I have seen power factor representing 50% of a hospital’s electric bill. Regulation can also change economic value. The federal Investment Tax Credit (ITC) of 30% applies to the cost of storage, if and only if the storage is charged by the PV system. If you are interested, contact me for an industry white paper regarding these values. The regulatory environment for microgrids is just beginning to be developed. It is a perfect time to explore microgrid opportunity with low cost PV and new battery solutions which were being discussed and demonstrated at the Intersolar event. Any microgrid solutions will most likely be grandfathered in before any new regulations. The California Energy Commission and the California Public Utilities Commission (CEC & CPUC) recently held a conference call to begin a microgrid workshop process. Regulators should keep behind the meter regulations to a minimum because they provide an excellent source of electricity for facilities. In other words, regulators should keep their hands off our collective BTMs unless invited. 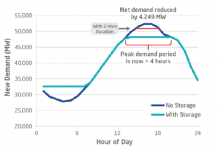 The brand new Rule 21 in California outlines functionality required for all new grid connected distributed generation. It is a tariff that describes the interconnection, operating and metering requirements for generation facilities to be connected to a utility’s distribution system. These same equipment standards enable a new class of products that are isolated, or strategically connected to the grid. I am choosing to look at non-exporting microgrid because it is easier from a regulatory environment. At some point I predict the utilities will be asking facilities for access to these isolated microgrids for addressing the utilities’ demand response programs. At which point it should be easier for the utility to pay for and certify the dispatching functionality. Various support equipment and services are offered by vendors which are forming strategic relationships with system solution providers. Original equipment manufacturers are teaming with system suppliers along with boutique software companies to supply such systems to the electric utility industry and end commercial and industrial electric users. A few vendors at Intersolar that seem well-placed to address the example scenario are Ensync, Greensmith, software company Geli, a multi-port microgrid company called Ideal Power (NASD: IPWR), and system integrators who take other vendor wares and integrate solutions like Gexpro (a part of Rexel (OTC:RXEEY)). 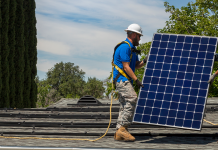 New company relationship agreements were announced at this year’s Intersolar event by Ideal Power and sonnen (European residential battery storage company new in the USA), as well as between Gexpro and Geli. Greensmith announced new products for pre-engineered packaged solutions under 1 MW with up to 4 hours of battery backup. Larger systems like a large 20 MW installations are still custom builds for Greensmith. Ensync is combining fast lithium-ion batteries with slower flow batteries to address both immediate intermittency and longer term demand reduction functions. Facilities managers who want to save money on electric bills or are trying to meet environmental goals can begin an exploration into microgrids by choosing an existing or future electric service circuit for a microgrid. To do this they need to determine the hourly, monthly and yearly load profiles on the circuit. Then start stacking the latest distributed generation options to determine if there is a viable behind the meter microgrid opportunity. For the first time, this year Intersolar showed us behind the meter microgrids. In this article we have defined an economical microgrid which can be used as an example to build your own microgrid solution and have presented a few of the companies supplying solutions in this space. Low cost solar and storage solutions have enabled this new class of on-site solution. Regulations are currently minimal for facilities to install self generation equipment. These behind the meter microgrids will become increasingly important for tomorrow’s electricity industry because they have become cost effective for commercial and industrial electricity users. at energy [no space] ideas at gmail dotcom. Please contact Joe for permission to reprint.